NG26 is a four piece rock / metal band formed by two sets of brothers that come screaming out of Heanor, Derbyshire in the UK. 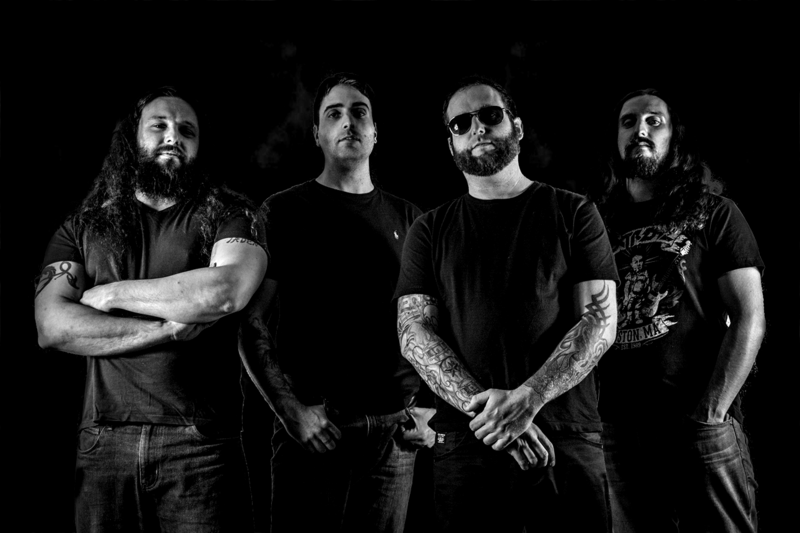 Formed in 2009, NG26 have worked tirelessly to establish themselves as a force to be reckoned with within the metal community and in 2010 / 2011, the band had their first commercial album release with “Open Your Mind”. This critically acclaimed debut release resulted in three massive singles, “One More Road From Home”, “Bring Back The Day” and “Open Your Mind”, who’s promotional videos spent 9 months collectively being shown on Kerrang! TV!, with “Bring Back The Day” being championed by the legendary Malcolm Dome, as single of the week and featured on the Classic Rock Magazine cover-mount CD!. NG26 have toured tirelessly up and down the UK and after the huge success of “Bring Back The Day”, the band embarked on a short UK tour with Girlschool. NG26 have also toured with bands such as :- top Swedish band – Sparzanza, Kill2This, Cyclefly and Area 54 to name but a few. 2012 and the band release the single, “If We Fall Tonight”, which raced up the Amazon Rock Chart to reach top spot!. The band then decided to build their own studio, “Otherside”, so that they could write, record and produce more efficiently. Two more singles and an EP were produced in the early days of the studio, spanning the next 18 months, with EP, “Devil’s Kiss”, storming into the Amazon Rock Chart Top 10!. 2014 and the band embark on a full album recording and have produced, “Until Heart Stops”, which was released April 2015. NG26 are now on a break, family commitments etc… however the band are planning to release in the near future. NG26 aren’t a band short of a following. This was no surprise to me when I first heard their new album ‘Until My Heart Stops’. Consisting of diverse sounds and epic harmonious talent I think this new album is well worth the listen. On par musically with some of the biggest and well known Rock, Metal and Alternative bands from the likes of Alter Bridge, Metallica and Papa Roach I can honestly say NG26 are still doing it for British Rock N Roll. NG26 fans, if you haven’t already, get this gem and definitely add it to your collection. You won’t be disappointed. imagine if a war-zone had rhythm like one of those musical theatre productions set in some banana republic, where the actors all dance around, choreographed to the sounof gunfire – while carrying AK-47s….Metal Mouth. “Heavy and melodic” &amp;lt;strong&amp;gt;Johnny Doom Kerrang!